Hard to believe we are half way through the year in 2017. Time sure does fly by, so I hope you have been able to take some time and enjoy summer. We have been busy with real estate as the market hasn't slowed down one bit, which is not typical for this time of year. July and August are generally our slower months, as buyers and sellers are distracted by summer fun. Below is a look a how the real estate market performed in July in Portola Hills. As you will note pricing is up 6% from this time last year, we also have more homes on the market with 15 vs 9 in 2016. Homes are taking on average about 16 days to sell in Portola Hills. However, I would anticipate that creeping up in August as summer distractions kick in high gear in August with last minute vacations and back to school. What's the Value of my Portola Hills home? Looking at the active inventory available in Portola Hills currently it is good to see more homes come on the market in the $400-$600k range. Homes priced in this range are HOT, HOT, HOT throughout the county. Inventory is very low. But that doesn't mean seller's can overprice their home. Homes priced over the market still tend to stay on the market long and result in price reductions. Pricing your home right at the beginning is what brings you top dollar with multiple offers! If you are thinking about a move, don't hesitate to give our team a call. 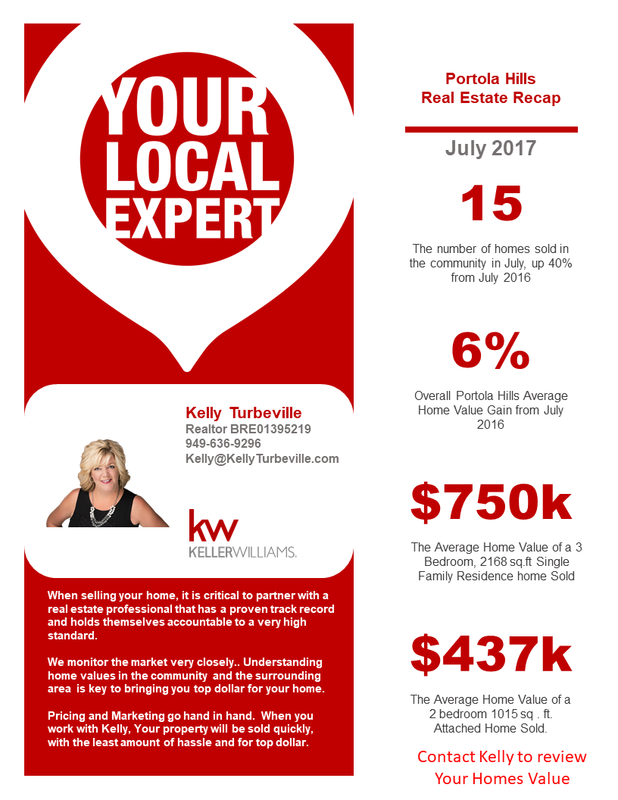 As you can see we strive to provide you with what is truly happening in the market so we that can meet your goals and successfully sell your home! 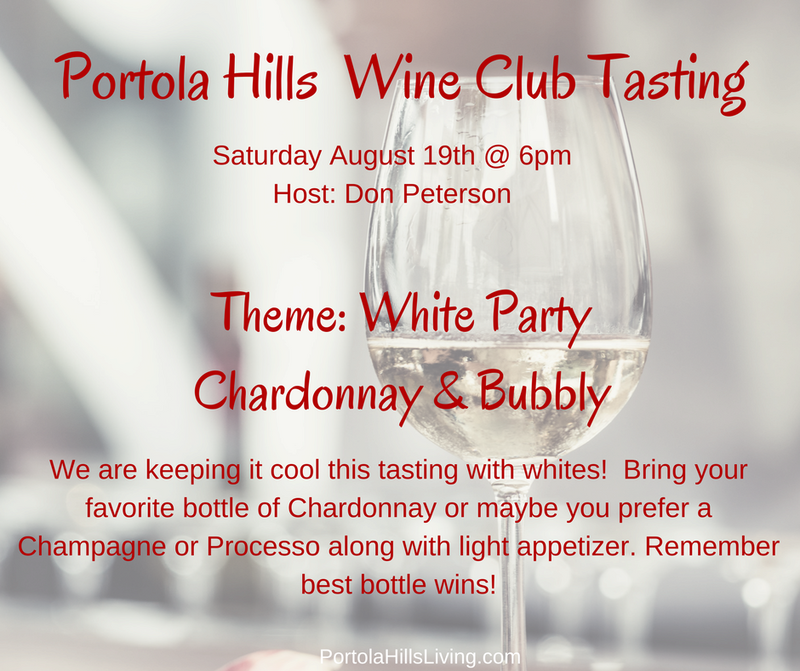 We are hosting our Second Neighborhood Wine Tasting this Saturday. Join us..